That wild ride begins a journey of discovery for newly-orphaned Jenny Mulroney, the teenager who cared for her mother through her now-finished battle with cancer. The wicked stepfather has chased the girl out of her home and onto the road. 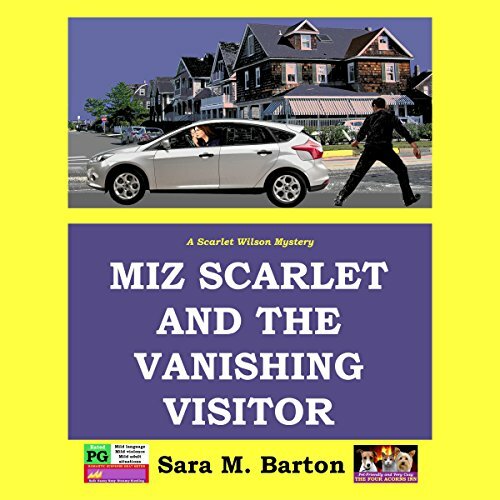 Frightened and fending off unsavory characters with her wits, Jenny has no one to turn to and nowhere to go, until Miz Scarlet shows up and takes her home to the Four Acorns Inn, the family bed and breakfast she runs in Cheswick, CT. While security expert Kenny delves into Jenny's secret past searching for clues and the New Jersey State Police investigate a series of related crimes, the teenager begins to find her way again. Ready to start college with Miz Scarlet's help, busy earning her keep at the inn, Jenny's been less than honest about what happened before that crazed killer attacked. Now she's putting everyone in peril. What does all this have to do with a bar of organic soap said to have healing powers? When uncut diamonds stolen in a heist turn up encased in lavender glycerin, it's more intrigue than Miz Scarlet can resist. With the help of the elderly "Googins girls", her brother, Bur (better known as Colonel Grey Poupon), and Larry, the foxy female homicide investigator, the intrepid sleuth is hot on the trail, determined to solve the mystery.